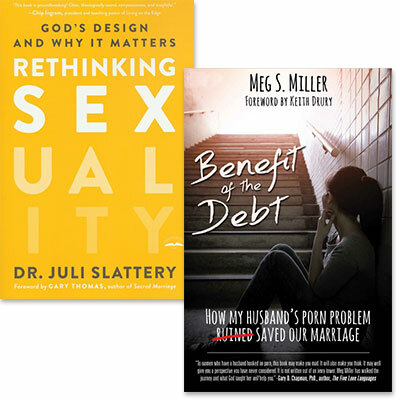 Purchase the books Benefit of the Debt and Rethinking Sexuality together at a special savings. When I discovered my husband's secret life, something inside me died. The grief was overwhelming. Other similarly-injured wives seemed to bounce back relatively quickly, but I was destroyed. I couldn't figure it out. I begged God to show me what was wrong with me. And He did. Counselors, family therapists, pastors, philosophy professors, and marriage coaches have agreed that an open, desperately hopeful heart is what separates those who will be liberated by this story – from those who will end up more hurt and angry.